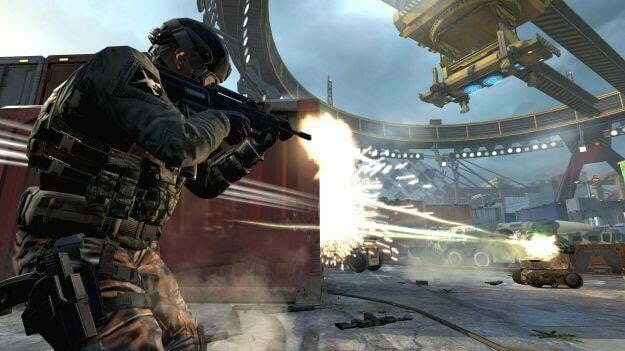 Will Call of Duty: Black Ops 2 come to Wii U? There’s some confusion out there over whether or not Wii U owners will be able to fight off futuristic drone attacks in the city of Los Angeles come November. Not for Nintendo though. Nintendo of America marketing head Scott Moffitt thinks that Call of Duty is a natural fit for his company’s new console. Speaking with Gamespot, Moffitt extolled the virtues of Nintendo’s new tablet controller in relation to shooters like Call of Duty, even going so far as to say Wii U could become the preferred platform for that type of game. “The Wii U could become the preferred way to play those games for some of the core gamers. You can imagine how a game like Call of Duty would work on Wii U—the GamePad will you to declutter the TV and pull gaming items like maps down and not interrupt your interaction and enjoy the cinematic quality of the game on the TV,” said Moffitt. His comments though are hard to believe considering the Wii U’s other capabilities. With computational horsepower that places the console on par with Microsoft and Sony’s 7-year-old Xbox 360 and PlayStation 3 hardware, Wii U is perfectly capable of running Call of Duty: Black Ops 2, but one element crucial to the game’s success is unknown: Wii U’s online services. This is the first concrete statement a Nintendo executive has made about Wii U’s ability to offer the same online functionality as other consoles on the market, and it also seems to be real confirmation that Miiverse is in fact Nintendo’s version of Xbox Live and the PlayStation Network. Online functionality alone won’t make Call of Duty a Wii U seller though. What incentive would players have to get Call of Duty: Black Ops 2 for Wii U this fall? Even if Nintendo sold 2 million consoles at launch this fall, it wouldn’t have the community to support that game. Xbox Live Gold has around 26 million players. Even with free online play, Nintendo can’t compete with that installation out the gate. By the time fall 2013 rolls around and Nintendo does have a strong install base, the next Call of Duty will likely be built for the Xbox 720 and PlayStation 4. So much for becoming the preferred platform.